I had very good experience last week one our customer installed and configure SharePoint on Server Farm Environment, When they installed Server A as Web front-end server, Server B as Complete setup and Enable only Office SharePoint Search service. When I try to start to create and configure SharePoint Shard Service (SSP) the system start to surface following error. I was cracking our mind (1 day) and seeking help from various people and search Internet. There is no correct solution, Finally Tech net help me resolve the issue. Then, I notice that Server B uses to Local Service account to run the Search Service. Due that when try to create Share Service from Server A it prompt Provision error. According to SharePoint Best Practices you must have few set of account, to setup SharePoint. Where as my customer use one account setup SharePoint. One of the biggest recommendations when installing a SharePoint environment is to think carefully about what accounts are going to run which roles that are used. TechNet has a large section on this called Plan for administrative and service accounts. 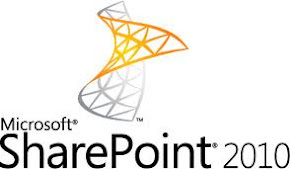 SharePoint Server 2010 will be 64-bit only and require 64-bit Windows Server 2008 or 64-bit Windows Server 2008 R2 to run. It also will require 64-bit SQL Server 2008 or 64-bit SQL Server 2005.